Tonight was the GA Recognition! Each daddy walks their daughter in to the stage where they sit and wait for their award and charm. Each girl gets an award and a charm to go on their charm bracelet each year. 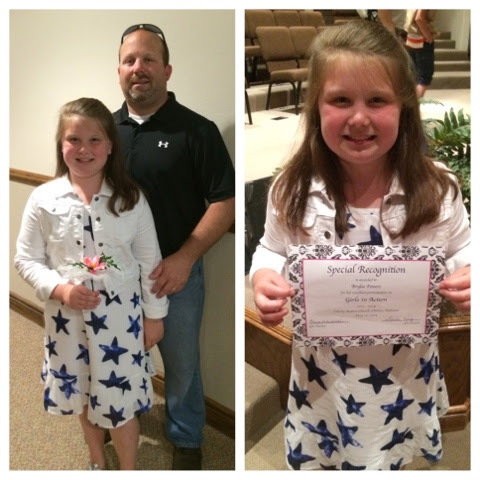 When they finished GA's in the 6th grade Brylee will have a charm bracelet with 6 different charms on it for each year! Such a sweet keepsake! 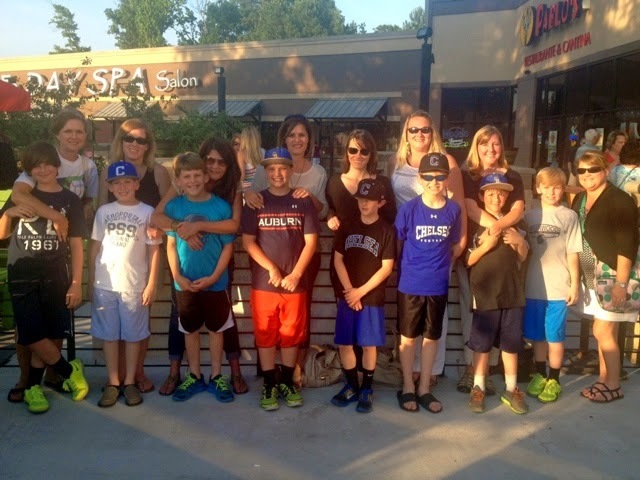 Jackson's baseball team and the moms went on a mother son date night! We went to eat at Pablo's on the patio and then went to the movies to see Million Dollar Arm! It was a fun night! Schoooools Out for Summer!!! We are excited that school is over and we are welcoming summer with open arms! 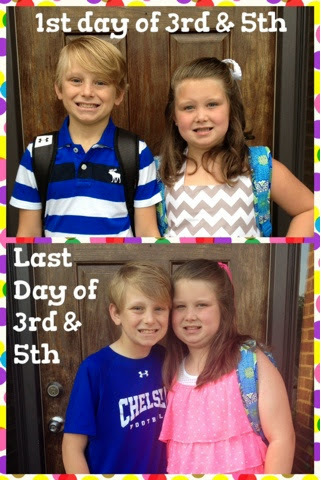 I can't get over how much taller Brylee has gotten this year! It's crazy!!! We all headed to the lake for a long holiday weekend! Granny and Pap Pap bought the kids a water trampoline. Although the ladder is not very user friendly but once they finally figured out how to get on they have fun! 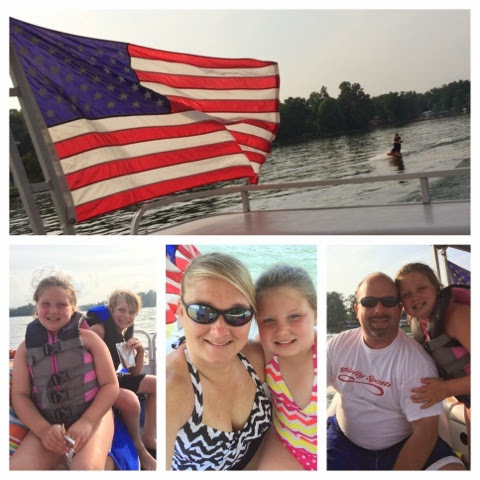 We enjoyed lots of Lake fun this weekend. 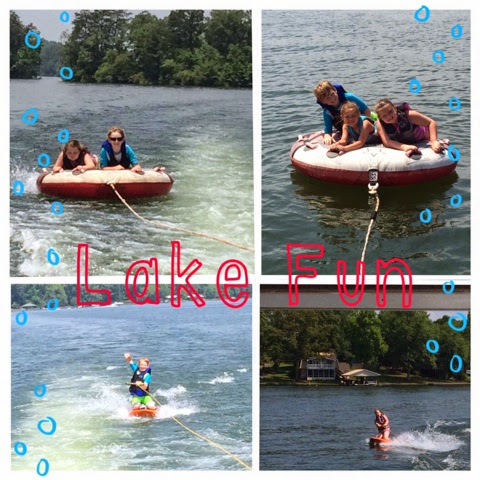 The kids enjoyed tubing and knee boarding behind the boat! More lake picture from our family fun extra long weekend at the lake! I have always wanted to pick strawberries but never knew where to go. 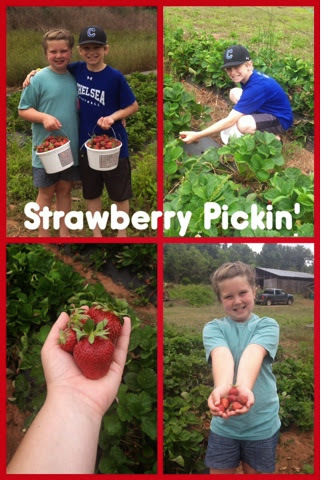 We got to talking about it while we were at the lake and realized there was a strawberry u pickem' place less than 10 minutes from my in laws so we all loaded up Tuesday morning and went and picked some strawberries! Fun times and they are so good! They have the best flavor!!! 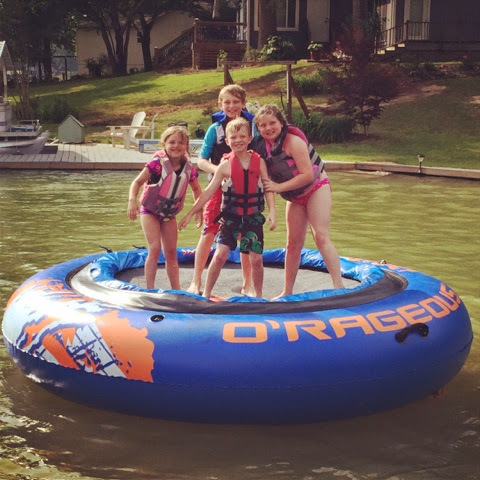 It's officially summer beginning this week and I am so excited about the lack of routine, sleeping late, camps, VBS, swimming, lake and family fun we have in store!